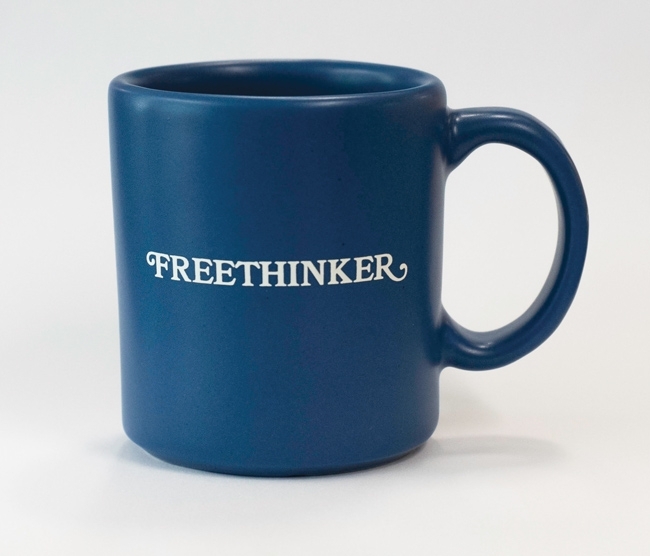 White imprint on matte blue mug. American made. Buy 2 for $10! Discount applied in shopping cart.